Thinking about the games that the two of you have made, to what degree do you feel that you’ve achieved what you set out to achieve? 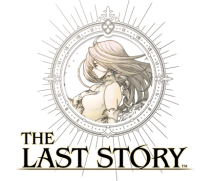 People conceive that the games that you have created, ‘The Last Story’ and ‘Xenoblade Chronicles’, differ fundamentally from the more typical Nintendo games made by Miyamoto-san and others. What were your thoughts when you were making these games by working closely with Nintendo? I’d like to ask these two questions to both of you. Let’s begin with you, Takahashi-san? Okay. 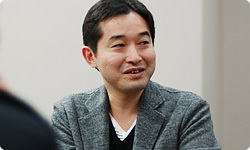 Well, with regard to releasing games on Nintendo systems, at first Hatano-san, who is the head of the marketing department, as well as being a Monolith executive, said that we should only produce games with our own unique style, and to always give great importance to taking a romanticist approach. But at first, I didn’t really understand what he meant by this. Ah, yes. Hatano-san said the same thing to me. I’m sorry to interrupt, but I should clarify that Hatano-san is responsible for overseeing domestic sales and marketing, while at the same time overseeing the licencing department that deals with software manufacturers. This means he gets a lot of game proposals from external companies. So the marketing department was the first point of contact for both you, Sakaguchi-san, and for Monolith Soft. Once development gets under way, you dealt mainly with one of our Software Planning and Development teams headed by Hitoshi Yamagami. I heard from Hatano-san that he suggested this same key concept to both of you: to develop the games with a romanticist approach. Xenoblade Chronicles was created as an exploration of what this romanticist approach might mean in the context of video games. But it wasn’t a case of Nintendo telling us to do whatever we may want to do. Rather, we were told to do what we are good at, which was a great relief. That was something we were adamant about from the start. As I’ve often discussed with Hatano-san and Yamagami-san, it’s extremely important to allow dev teams to play to their strengths. That initial concept never changed: we wanted games that allowed Takahashi-san and Sakaguchi-san to put their own personal stamp on them. But Hatano-san set you a kind of riddle by giving you that concept of the romanticist approach. He wanted you to explore what it meant. What I think it means is that he wanted you to create a title where the story and gameworld would resonate with a large number of people and inspire them. The message Nintendo sent was to play to your strengths and use all your capabilities to realise that vision. When we were at the initial stages of determining the features the game would have, one issue we discussed was that it might be better for us to include Nintendo-esque aspects since it is going to be a title to be published by Nintendo. We were looking for the best way to add that quality to the game, and as you can imagine, we had a fair bit of trouble at first. Yes, we gave you a good deal to worry about at the start. I think that we may not have given you enough support with regard to that issue. When we work with a game developer for the first time, sometimes they paid too much consideration to Nintendo-esque aspects and ended up not being able to display the real strength of the development team. This time when we dealt with Monolith Soft, I think we managed to finally establish a way to work together successfully after a number of communications. It’s the same with you, Sakaguchi-san. The sense of distance between the two parties was completely different this time round compared to the days of ASH11. 11ASH: Archaic Sealed Heat was an RPG released for Nintendo DS in Japan in October 2007. 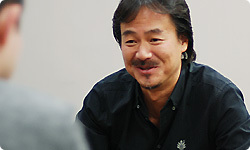 Hironobu Sakaguchi worked as executive producer on the project. You’re right. It felt completely different. When making a game in that way, Nintendo and Mario Club stand in for the final consumer, and we look at how to appeal to both of them. I think that in the course of that process, we finally arrived at an efficient way to make the game. If you take the key concept of empathy which we just discussed, you were creating games in such a way that the scope of people who emphathise with them gradually broadens. There’s a common misconception that by broadening the game’s scope in this way, you will weaken it. But I disagree. 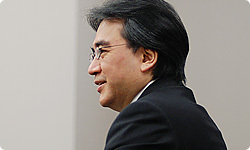 Nintendo has tried to show a lot of its tenacity, as you did, Takahashi-san, in the development completion period of this title, and I think the determination on both sides acted to spur us all on. Yes, it felt like Nintendo has blocked our escape route. (laughs) I think a trait we have is to judge things from the perspective of the game creator sometimes, and this can end in an attitude of: ‘Look, this is the only way we can do it, so it’ll have to do.’ But that’s not the case. It’s important to view things from the perspective of the player, which is something Nintendo helped us to do. This meant that if there was something that needed to be done, I just had to steel myself and get it done to get things right from the player’s perspective. In that sense, Nintendo’s job is to make sure you have no escape route. Now that it’s over, are you glad you took this approach? Well, the number of possible combinations of quests and items meant there was a huge volume of content. But I believe that the player will be able to see the effort you’ve put in. Did you always intend to have that volume of data in the game? I see. So the game was structured that way. But in the end, you managed to include everything you wanted to, right? Yes. We were still adding major features right up to the last minute. Thanks to all the effort you made, the overall satisfaction the player will get has greatly increased, making it all worthwhile.